Words with Friends ruined my blog… Actually, you could blame the iTunes store for it, or the new job, or the 6 week holiday with no Internet connection.. I choose to blame the little iPhone app known as “Words with Friends”. It had me hooked, I was blinded by the light that is Scrabble! 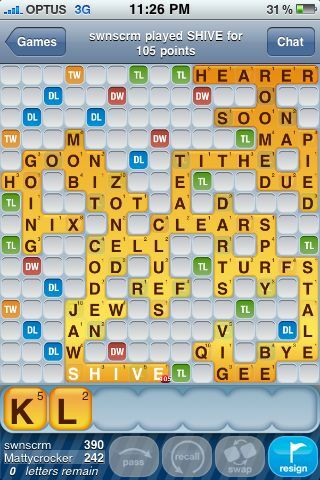 Anyway, after a series of unfortunate events, I was forced to delete scrabble a.k.a Words with Friends a.k.a Blog ruiner. So now, I can use WWF time for Blog time.